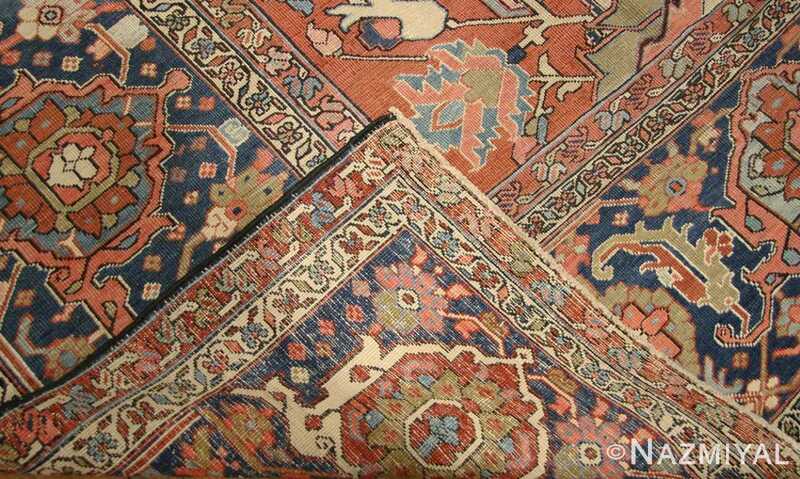 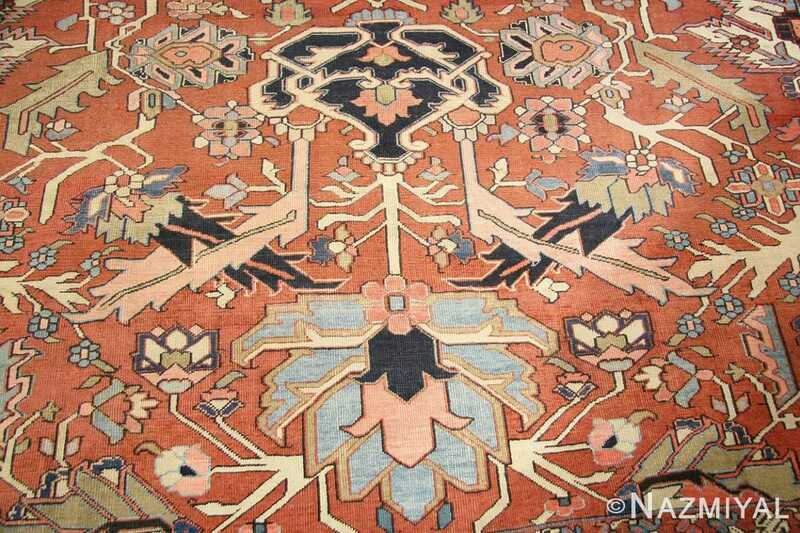 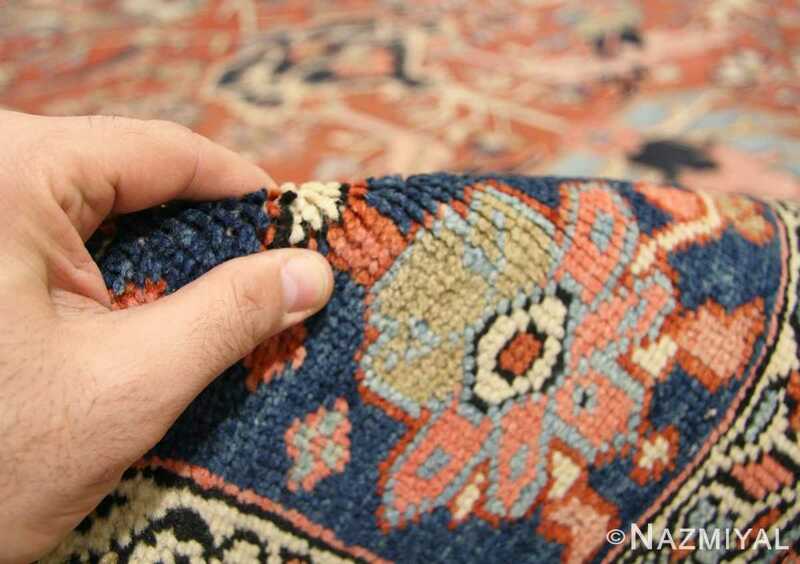 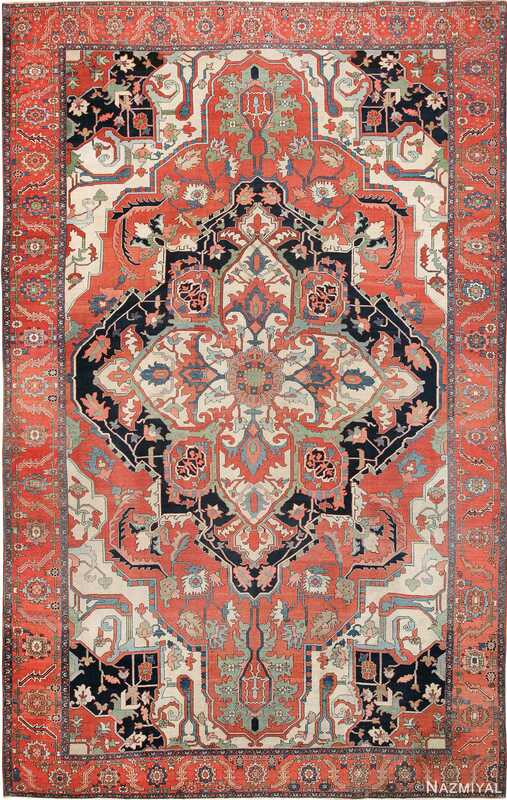 Antique Serapi carpets like this one are famed for their bold medallion designs and striking abstract style. Antique Persian Heriz Serapi Rug, Origin: Persia, Circa: Late 19th Century – Antique Serapi carpets like this one are famed for their bold medallion designs and striking abstract style. 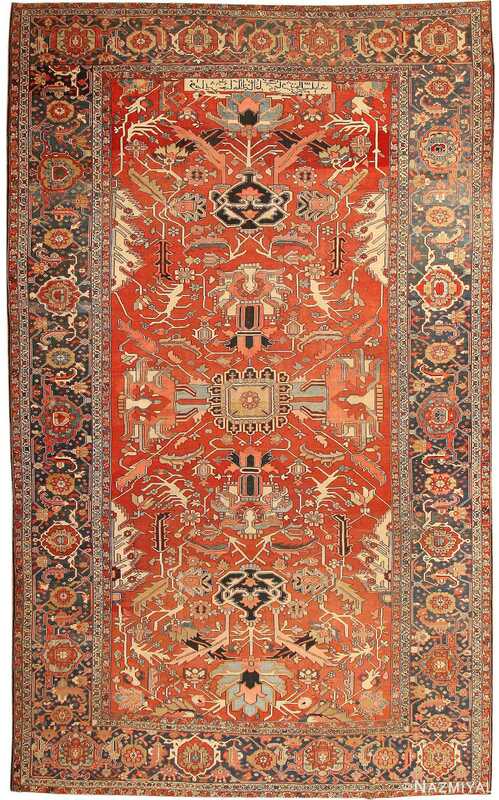 This magnificent antique rug, however, has a diminutive medallion and not cornerpieces, and so it functions more as a centralized allover design of jutting angular vines and palmettes. 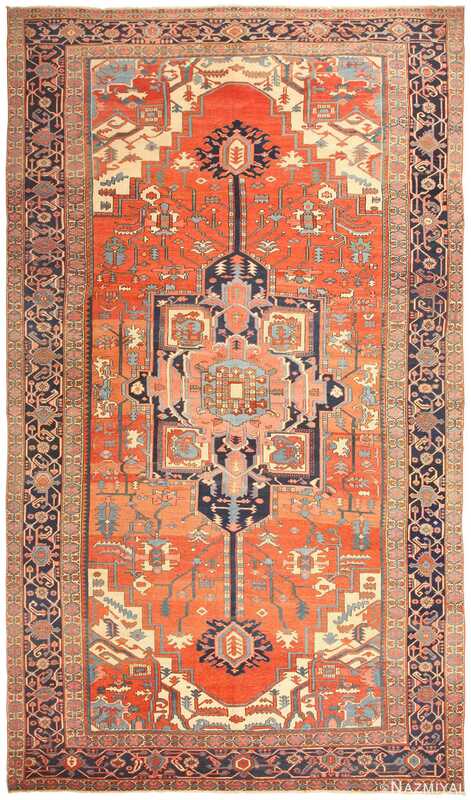 The palette consists of soft apricot, pale blues, and ivory set against a warm terracotta ground with sparing use of dark tones for accents. 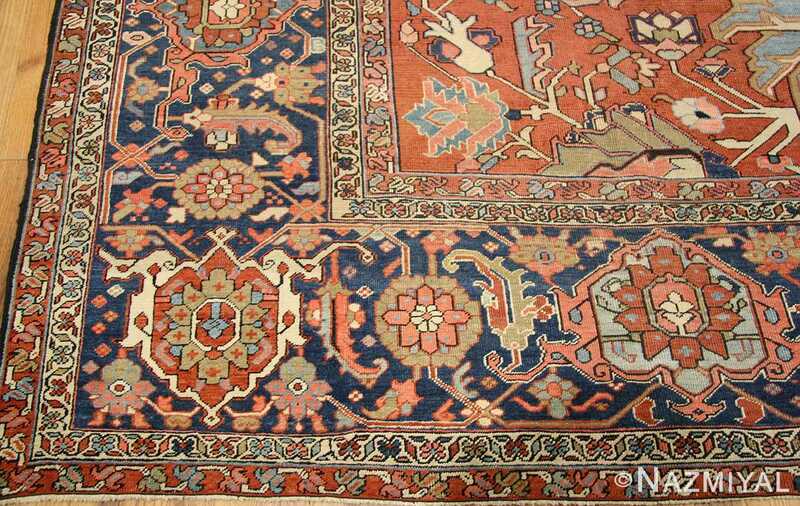 The richly detailed ‘turtle’ vinescroll border has a teal ground that nicely complements the palette of the field. 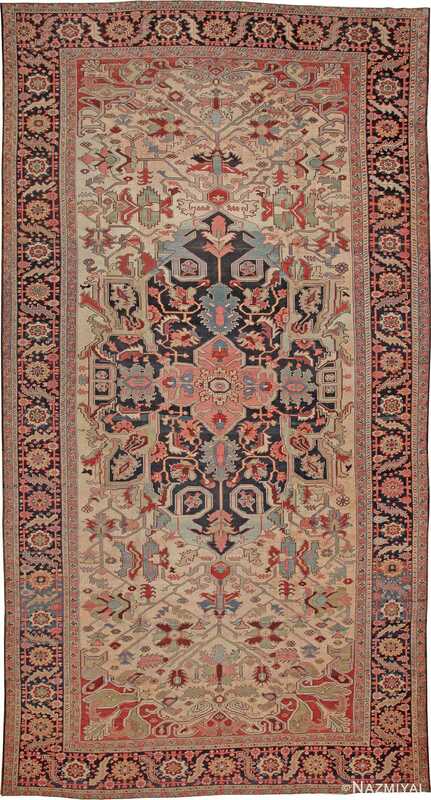 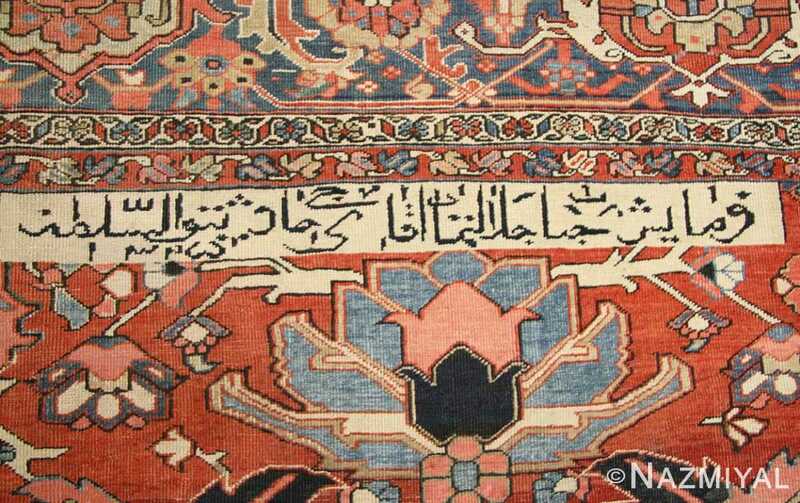 Definitely one of the more formal and elegant examples of this Persian rug type.